Integrated Concrete Services is a leading foundation repair company in Waco, Texas. Our foundation specialists provide an array of residential and commercial foundation repair services in Waco & Central Texas. Our team of foundation experts has been providing trusted foundation repair in Waco for more than 40 years, having restored countless homeowners’ properties in Waco and Temple, TX. Get your foundation repaired correctly the first time by our adaptable crews that continue to stay on the cutting edge of the industry. With the help of our team at IC Services, you get meticulous craftsmanship and proven foundation results. Home Foundation Repair – Specialized residential foundation repair. House Leveling – Leveling your home into a balanced, original state. Soil Stabilization – Improving soil strength and foundation load-bearing capacity. Concrete Slab Repair – Repairing common slab damage. Concrete Slab Lifting – Raising concrete slabs of various structures. Structural Solutions – Custom structural foundation work. Foundation Drainage – Drain installation around foundation to capture and redirect water. 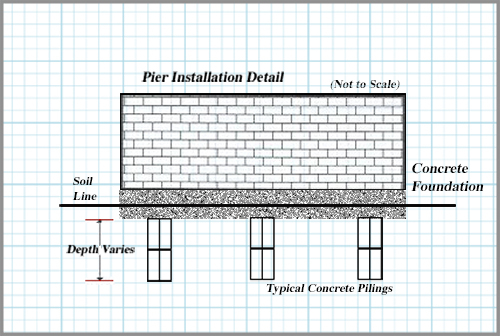 Pier Beam Foundations – Elevated foundation system to protect from floods and moisture. Dual Pier System – A cutting-edge foundation system with twice the support. All provided foundation install and repair services are backed by experience and tested repair methods. This ensures that you get the most effective solution when it comes to installing or repairing your home’s foundation. As a licensed foundation repair company, we value honest work, competitive pricing, and job safety. We also take great care in avoiding property disturbance, leaving properties looking great. Interested in having us take a look at your foundation situation? Contact us by form or phone at (254) 870-3316 for more about our home foundation repair in Waco, TX. We can get your foundation or structural problems solved correctly and efficiently the first time. Warranted and proven solutions to fix, stabilize, and secure your foundation in Waco, Texas. Schedule an inspection today and get a free estimate. We look forward to improving your property!